Paul Meyendorff, The Anointing of the Sick (Crestwood, NY: St Vladimir’s Seminary Press, 2009). Every year during the feast of Epiphany (January 6) hundreds of old women line up outside the cathedral near my old apartment in Romania to receive holy water that the priests have blessed specially for the occasion. It always seemed ironic that whenever the priests were giving out holy water there was an ambulance parked outside the church in case someone tripped and fell on the icy steps. If the holy water really worked, no-0ne would need the ambulance; a drop of water and the old women would be dancing on the ice again. Not according to Paul Meyendorff, professor of Liturgical Theology at St. Vladimir’s Orthodox Seminary. In fact, ambulances play a crucial role in Meyendorff’s presentation of Christian medicine. In this delightful little book Meyendorff explains the service of anointing the sick for the lay reader. Properly done, the service requires seven priests and lasts for several hours. In Meyendorff’s view, this reflects how seriously the church should take illness – a 2 minute prayer isn’t enough; to seriously care for someone it takes a crowd of people dedicating hours of their lives to the person in need. In the thirteenth century it used to take up to a week and in the Slavic churches it became effectively the “last rites” or “extreme unction,” administered only on someone’s deathbed. Most Orthodox only experience this rite on the Wednesday of Holy Week, when they use it as a substitute for confession and as a preparation for Good Friday. Because of the grace and healing promised in the liturgy, it is by far the most popular service of the week. The Anointing of the Sick (2009) offers a running commentary on the service, which is reproduced in full in two appendices. 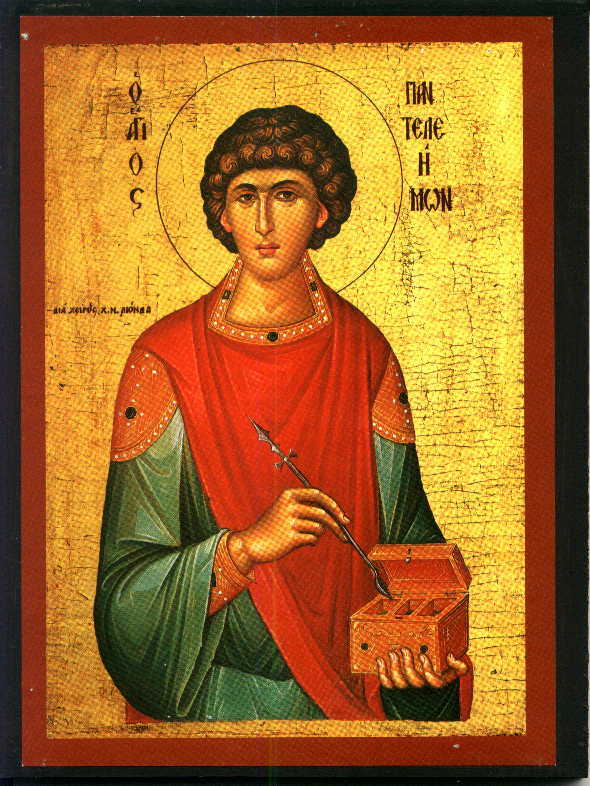 Meyendorff notes that anointing with oil was a common practice among Jewish and pagan physicians in the ancient world. He comments, “thus the Christian practice of using oil was nothing new, simply the Christianization of elements from the cultures in which they lived. This should hardly surprise us, since all the sacraments take as their starting point elements and actions from daily life – washing, eating, drinking, the laying on of hands. … What makes them Christian is their integration with prayer and thanksgiving, their inclusion in the life of the Church and of each of her members.” What a radical way of looking at everyday life! Tiny, mundane activities that we do repeatedly each day can become avenues of grace and blessing if only we approach them as opportunities for giving and receiving the Spirit of God. Whether someone is physically healed obviously matters to the sick person, but Meyendorff considers it a relatively minor detail. Hospitals are for dealing with the physical aspects of disease, he argues, but only the Church can holistically both the spiritual and physical aspects of illness. 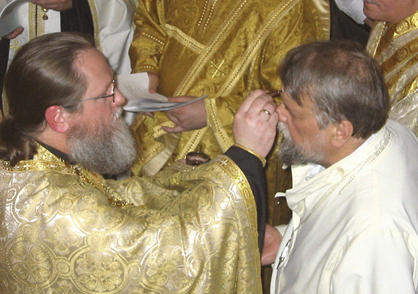 Affirming to someone that they are loved and accepted by those around them, by their Church and by their God is a crucial aspect of any healing process, Meyendorff says, and this is why he believes that anointing the sick is such an important element of pastoral care and should be done far more often than is common practice in most Orthodox parishes.